Shopping With Blue Ribbon Foods is Simple! Our team of culinary and nutrition experts will provide you with personal menu planning and counseling. This usually takes place at your home for accuracy and to make sure that everything is uniquely customized. Complimentary delivery to your home is included with every order in our delivery area. Upon arrival, our courteous, professional drivers will stock and arrange your items for you. 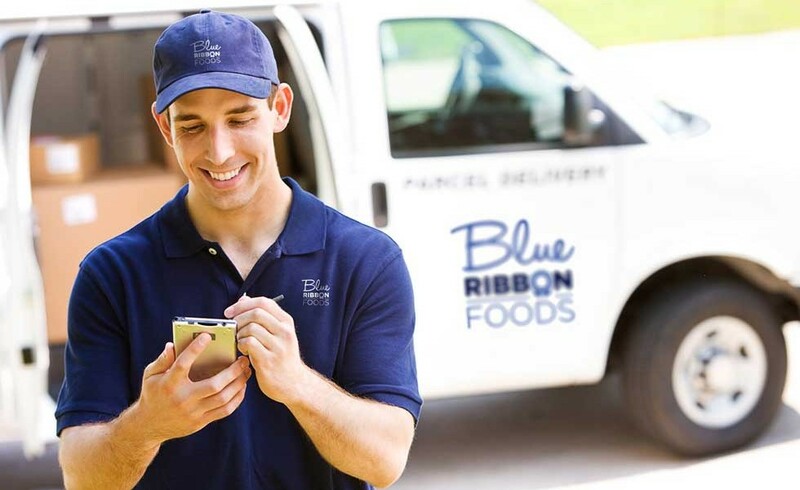 Blue Ribbon Foods proudly serves these cities and surrounding communities: Atlanta, GA; Chattanooga, TN; Knoxville, TN; Nashville, TN; and Warner Robins, GA. If you are outside of these delivery areas, we are happy to direct ship your orders to you. Your items will be delivered to your door via FEDEX in a reusable, insulated picnic cooler, packed with dry ice to ensure your selections arrive in perfect condition. Every item we sell is unconditionally guaranteed. You’re either thrilled with your purchase, or we will cheerfully replace the item free of charge with a similar item of your choice. Request A Free Sample Of Our All-Natural, Gourmet Food!